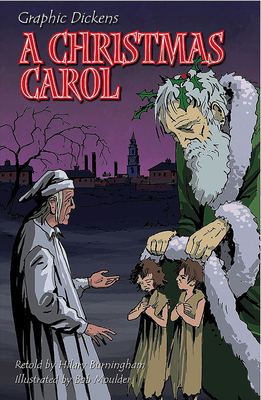 Ebeneezer Scrooge is a mean miser who lives alone and is nice to no one. One Christmas Eve, however, he is visited by the ghost of his old business partner, Marley, and is given a very important warning. Is it enough to persuade Scrooge to change his ways? Hilary Burningham is a former teacher and the author of the Graphic Shakespeare series. Bob Moulder is an illustrator.